A coloring book can be wildly popular in today’s book market and not just for children — adults are clamoring for them as well. Why, it is rumored that even the Duchess of Cambridge loves to engage in a little “color therapy.” After flying off the shelf in record numbers last year, it has become obvious that coloring books are an in thing. 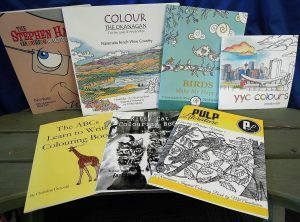 How then, as a self-publisher, do you get in on this trend and start producing your own stunningly-designed coloring books that are head-and-shoulders above the crowd? How can you hope to get noticed? In order to compete with the best, you will need to produce a coloring book that is designed better, costs less to produce and can catch and hold the roving eye of the buyer. First things first: you must have an idea that lifts you off the ground. Second to none: how you will win by design. Thirdly: the bones of the product. Fourthly: our “finishing school” to perfect your final look. One of the most successful coloring book authors is Johanna Basford. It is to her that Prince William confided that his wife Kate enjoyed coloring in her books. Johanna’s first book, Secret Garden, has sold upwards of 7 million copies. Basford is a fantastic artist who creates magical worlds and one of the secrets her success reveals that the coloring books enthusiast love books centered on a theme. A book built around a theme, whether it be garden images, animals, owls, flowers, Egyptian images or an enchanting story, will always do better than a coloring book of random images. So pick a theme for your book that will draw your reader in, or that tells some kind of story, and your idea will catapult you skyward. Two other ways to make sure your coloring book stands tall are size and design. Although you can do quite well with the regular 8.5 x 11 inch portrait format, consider altering the configuration to make your book a little different from your competitor’s. You might try a landscape instead of portrait format, design an appealing square book, or opt for the beauty of the oversized. In any case, being a little unique will help differentiate your book from the masses. The other way of course, to gain recognition, is by creating a stunning drawing. Your cover should be meticulously designed whether black and white or vibrant with color. It needs to turn heads, win hearts and capture imaginations by making the buyer want to purchase it so they can color what is inside. The book as a whole also needs to reflect the same thoughtful and inspiring design as your cover. Note: be prepared to pay for an oversized or landscape design that is 11×8.5 inch size typical of a coffee table book. It requires the cover, (consisting of one sheet including the front, the spine and the back) be printed on an offset press which is expensive for short runs of books. The cover in this size of perfect bound book will not fit on a standard digital press used for short runs of books. So perhaps a 9×6 inch landscape perfect bound book is the best for you? Or you may wish to go for an 11×8.5 coil bound book thus fitting the book entirely on a digital press. Be sure to ask for quotes from the printer before you make your sizing decision. Three elements of a book combine to make it a strong and durable product: the spine, the page paper and the finishing. There are a number of choices to be made which will determine the look and success of your final product. As far as the spine is concerned – you need to decide if you want to have one and what kind? The number of pages in your book will limit your options – less than 20 pages and you will need to saddle-stich. Do you want the book to lie completely flat so the colorist doesn’t have to hold it open? Then saddle stitching or coil binding is your best option. Do you want to have your book title on the spine so it can be shelved and stand out at bookstores? Then perfect-binding is for you. The paper and cover stock for your coloring book will determine the final product. You have the choice of double-sided pages or those printed only on one side. Single sided pages will prevent images from the reverse side from showing through. If you decide to print double-sided pages, which is also more economical, you can insure that the images don’t show through by choosing a thicker paper stock. In either case, you should be sure to choose an uncoated stock which is thick enough to hold up under coloring pressure and repeated use and with enough texture to “drag” the color off the crayons or pencils being used to color-in. Similarly, the stock used for the cover should be heavy enough to withstand repeated use. 12 pt cover stock is optimal. Some designers choose to leave the cover un-laminated so that the client can color on it. Lamination – adding this thin film of laminate to your cover will ensure that its colors simply pop with vibrancy! And lamination better prevents wear and tear (and coffee spills). Matte lamination is usually more expensive than glossy. It can be prone to scuffing. Rounded Corners – these are an added finishing touch particularly useful in children’s coloring books, as they remove sharp corners and decrease wear and dog-earing of the cover. Perforation of inner pages – this is a finishing option often used for coloring books. It allows the artist to remove pages so that they can work on them on another surface or easel, or remove the completed pages for framing or display. But perforations increase the expense of the book. So substitute (for free) a dashed line up the spine with scissor symbols interspaced! Embossing or Gilding – raising letters or images on the cover of your book or gilding with metallic ink can really add to the wow effect of your cover and help you soar above the competitive crowd! A new digital machine has recently been invented to apply these finishing touches to your books. See our article on sleeking! 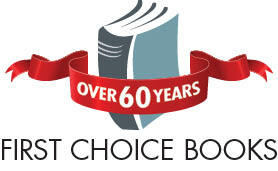 (https://firstchoicebooks.ca/sleeking-lamination/) However, be prepared to pay more per book for these effects (at least 1$). Do you have any ideas or questions that we have not touched on in this blog which you would like to share or discuss? We would love to hear from you as you venture towards success in the coloring book market!